To increase the sense of identity and belonging in what is for virtually all pupils a much larger school than their primary schools. 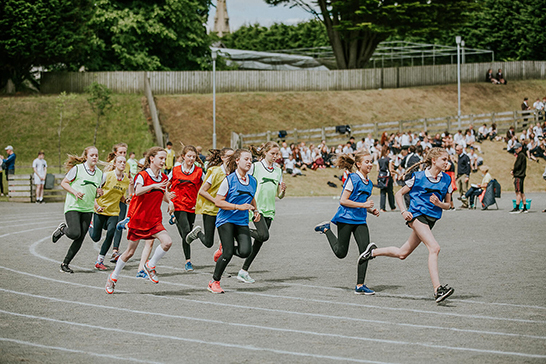 To provide a vertical age-grouping smaller than the whole school, where pupils in Years 8-14 can mix and where older pupils lead activities and act as role models for the younger pupils. To promote pupil participation in inter-House competitions and a healthy, friendly rivalry when competing for the various House trophies. To encourage high standards of work, play and behaviour. 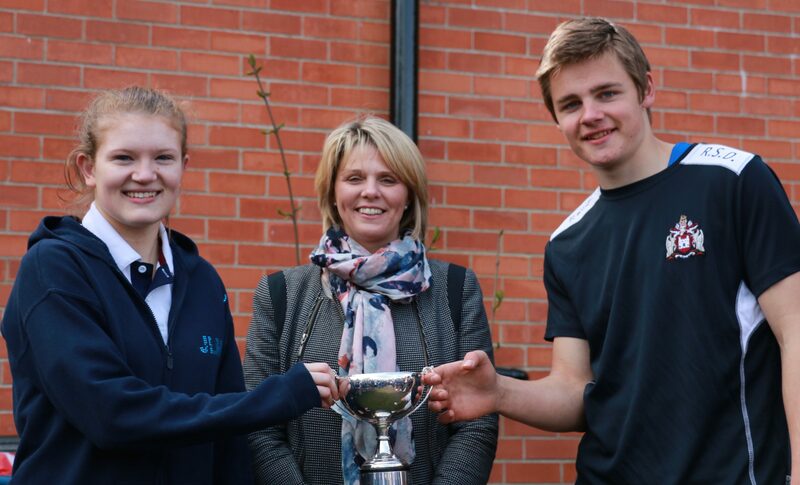 The House System therefore complements the pastoral work of the Heads of Year and Form Tutors and contributes to the pupils’ sense of belonging to the school community. There are four Houses and pupils from each year group work together in their House to take part in the various competitions. There is a House Assembly every Wednesday led by a teacher, who is Head of House, and pupil officials drawn from the Sixth Form. John George Beresford was one of two brothers who each became Archbishop of Armagh and Primate of All Ireland. In 1850, the Archbishop gave RSD a substantial sum of money which was used to build the Cloisters area, a gymnasium and two classrooms. This gym is now the Marshall Library. In memory of Beresford’s generosity, the “blue” house is named after him. The house is named after John Bullingbrook, who was the first RSD Headmaster. By 1614, King James was angry that his royal charter to establish a “free school” for Co. Tyrone, granted in 1608, had not yet been acted upon. He demanded that the Archbishop of Armagh take immediate action and a Headmaster, John Bullingbrook, was appointed in May 1614. The school was then on the shores of Lough Neagh at the fortified village of Mountjoy. The area is still called “College Lands” although it is just fields now. Later, the Royal School moved to Dungannon and in 1641 this new school was attacked and destroyed by Irish rebels. Bullingbrook and his son were forced to flee and sought refuge in the great forest of Glenconkeyne on the western shores of Lough Neagh. They both died of hunger and exposure. In 400 years there have only been 21 Headmasters of RSD. 400 years ago Ulster was the most Gaelic part of Ireland and resolutely defied English attempts to extend control over the Province. Hugh O’Neill had his headquarters in Dungannon and led the Ulster Gaelic resistance, fighting off a series of English armies. A new English commander, Lord Mountjoy, fought a ruthless and determined campaign against O’Neill until the great Irish chieftain surrendered in 1603. 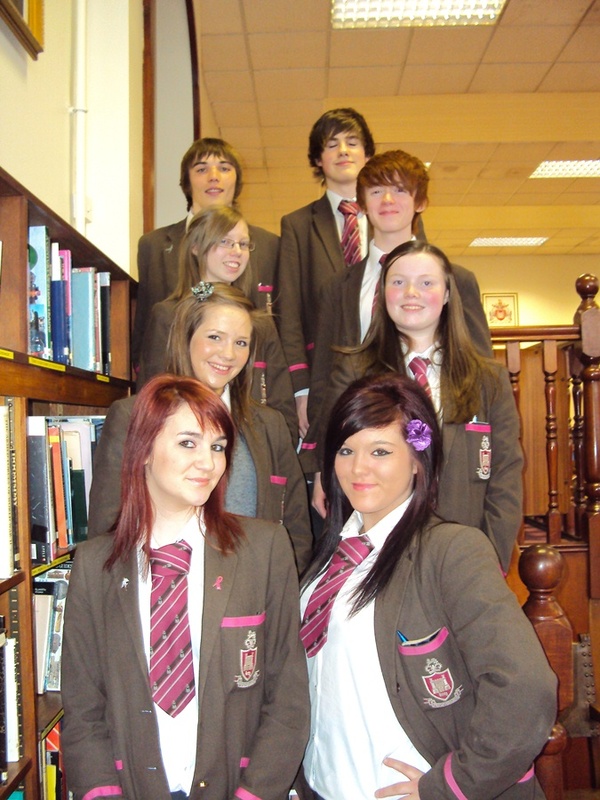 In the years following, English and Scottish planters made Ulster their home and RSD was registered as one of the schools for the planters’ children. Without Mountjoy there would have been no Ulster plantation and no Royal School, thus his name is commemorated in one of RSD’s houses. General Sir John Nicholson was a pupil at RSD in the 19th Century. He went on to achieve fame as a soldier, dying a hero’s death during the Siege of Delhi in the Indian Mutiny of 1857. Nicholson was most famous in the Northwest Frontier of India. He was amazingly brave, administered strict justice and had an awesome appearance. In India he was regarded by some as being virtually a God and he was commemorated with a statue at the Delhi Gate. Professor R. L. Marshall wrote a poem in a school magazine of the 1930s in which he described a dream of the Nicholson Statue standing not in Delhi but in front of RSD. This came to pass some years later, when the statue of Nicholson was removed from Delhi after Indian independence and brought to Dungannon. It was erected in front of the school in 1960 and formally unveiled in 1967 by Lord Mountbatten, the last Viceroy of India. Nicholson House was the last of the four RSD houses to be founded. 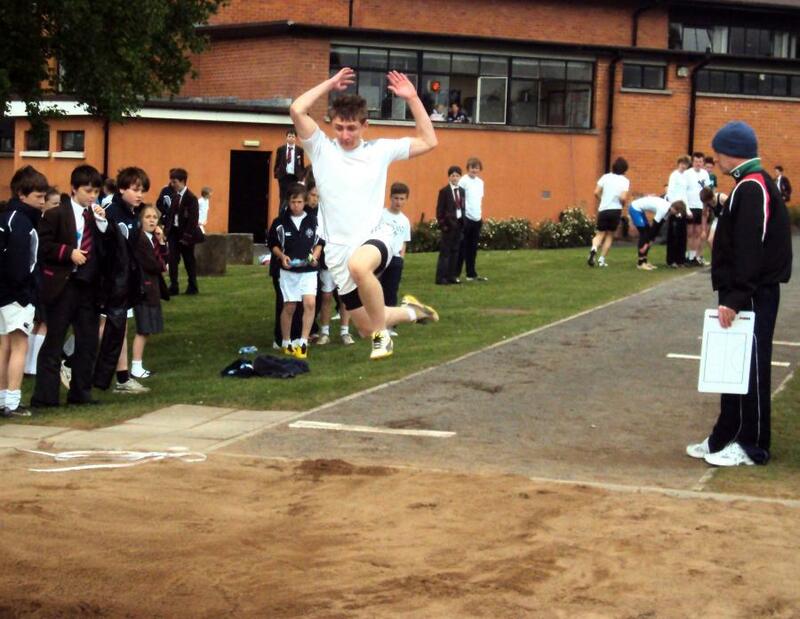 There was a very pleasing turn out for senior house badminton which took place on 10th Jan. Initially, for the female singles, Nicholson/Dungannon’s Joanne Shaw dominated against both Bullingbrook/ Tyrone and Beresford / Charlemount winning 11-7 and 11-6 respectively. 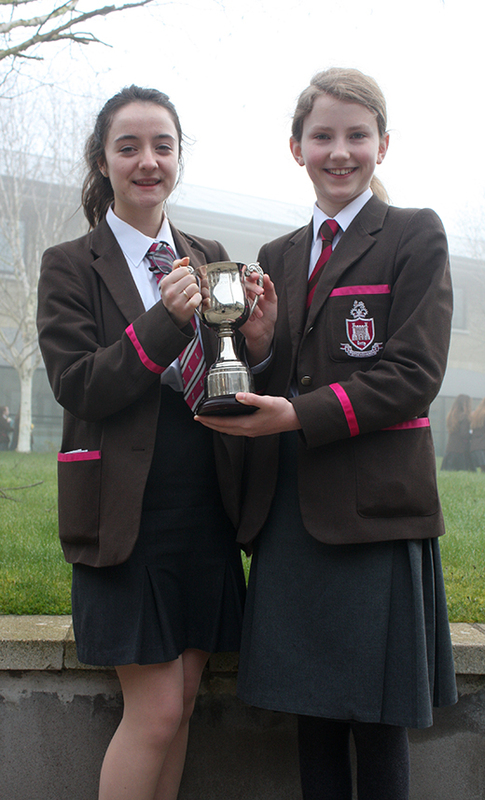 Congratulations to Rebecca Richardson (Year 13) & Robyn Archer (Year 8) in Beresford Charlemont, on being awarded the House Cup for Debating in School Assembly on Tuesday 28th March. 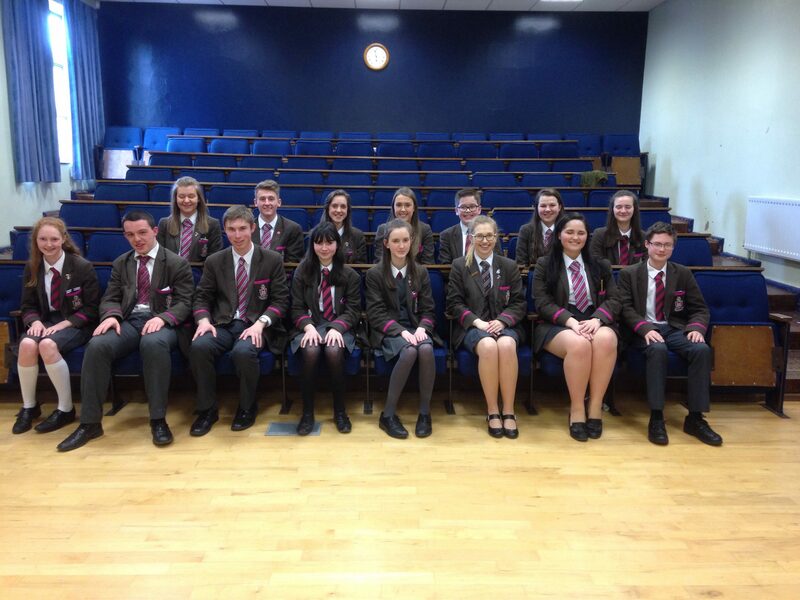 Well done to everyone who took part in House Debating on Friday 15 April. Everyone worked really hard and the standard of the arguments was very high. Special congratulations to Sarah Emerson and Bebhinn Elliot Murphy who won the prize for Mountjoy! 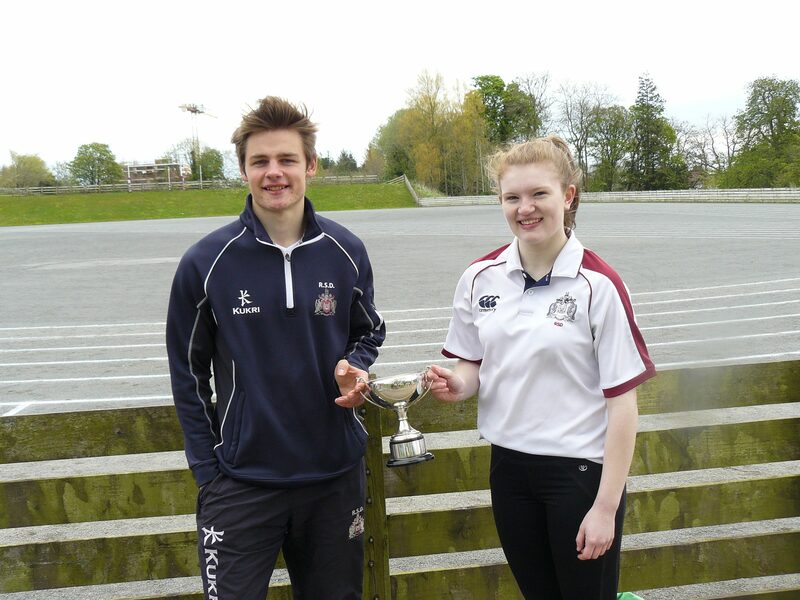 Sports Day 2015: Bullingbrook-Tyrone make it two in a row!